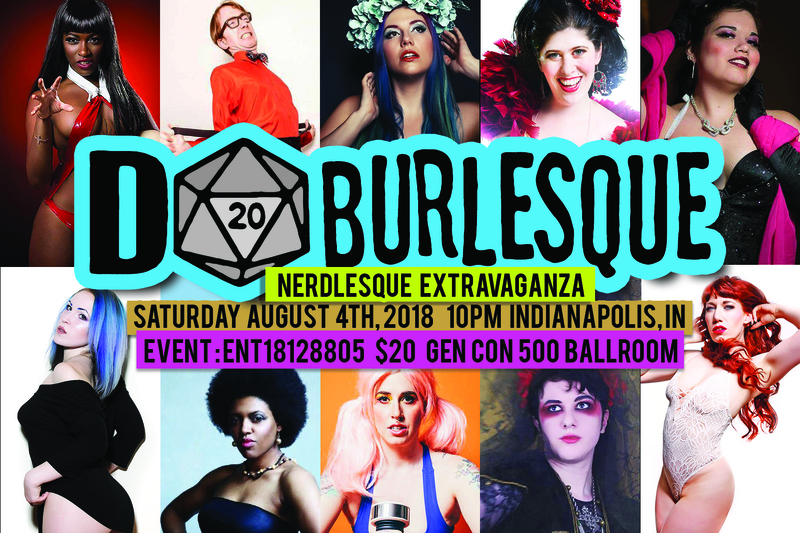 D20 Burlesque’s Gen Con Nerdlesque Extravaganza! Join the performers of D20 Burlesque this year as we bring you a whole new batch of nerdy burlesque from NYC featuring striptease and go-go based off of your favorite games, movies, comics, and more! 100 S Capitol Ave, Indianapolis, IN 46225 Ticket purchase info coming soon.